Thanks to Conde Nast Entertainment for sharing with us Nerd Stalkers. 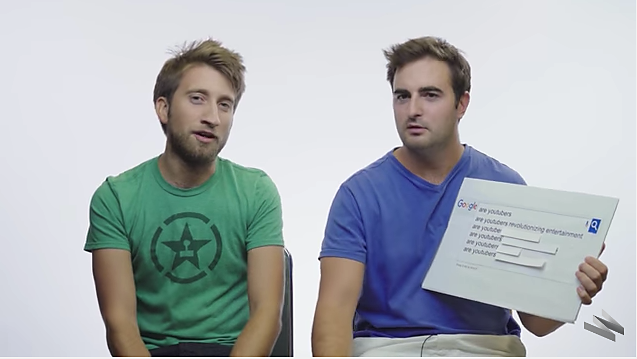 In this fun video piece from WIRED , MatPat, AsapSCIENCE, The Slow Mo Guys and Burnie Burns (Rooster Teeth) answer the internet's most searched questions about YouTube, influencers, fame and even themselves in a Google Autocomplete interview. Check it out!